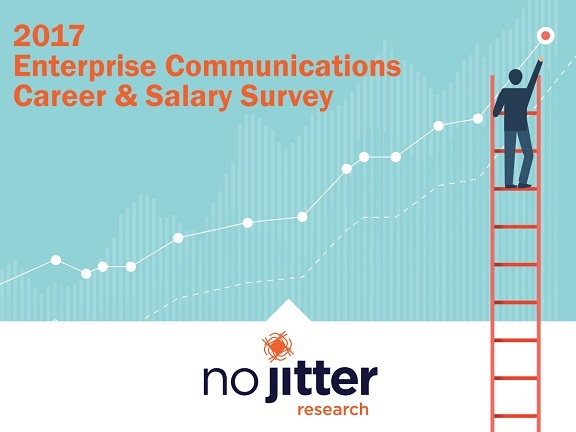 In late August and September, No Jitter Research conducted its third-annual career and salary survey of enterprise IT professionals in the No Jitter and Enterprise Connect communities. Our goal with this year's survey, as it was in years past, was to learn about the job responsibilities and salaries of those enterprise IT professionals involved in communications and collaboration. In addition, we hoped to unearth insight on factors driving career choices and trends within the enterprise. Click inside for our findings. Share insight into your communications career and earn a chance to win a $100 gift card. From what tech skills you possess to how much you earn, we take a look at your career in enterprise communications.